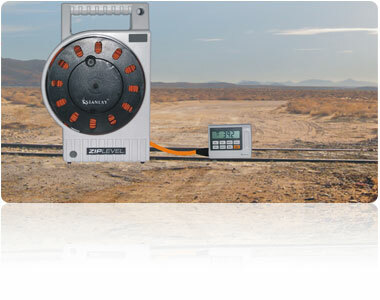 The Altimeter Ziplevel is an award winning surveying instrument based on a patented gas & liquid system that digitally measures the difference in levels with precision in any terrain or between two surfaces or points. 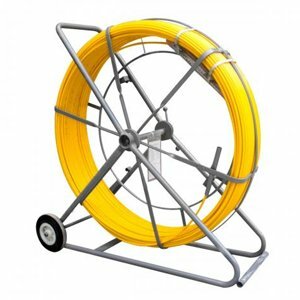 The Ziplevel allows levels to be measured or transferred to other points without any requirement of line of sight and without use of any standard surveying accessories such as leveling staff, tripods etc. 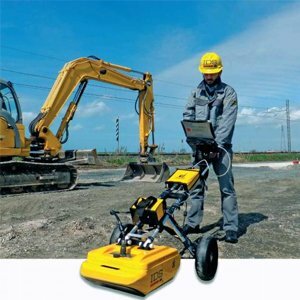 The instrument provides a true one man operation in any survey or construction site activity. 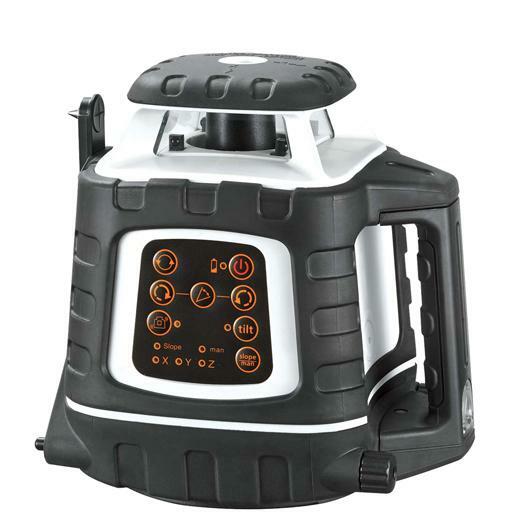 The elimination of line of sight requirement allows the instrument to be used for level transfer around corners, through wall openings. 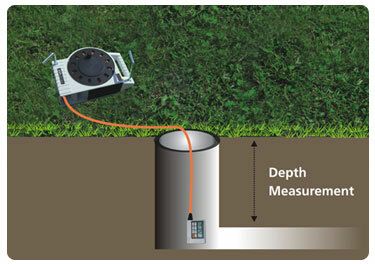 The instrument with its computer unit, allows automatic depth measurement, allowing usage of the instrument in hazardous site conditions and difficult to access areas. 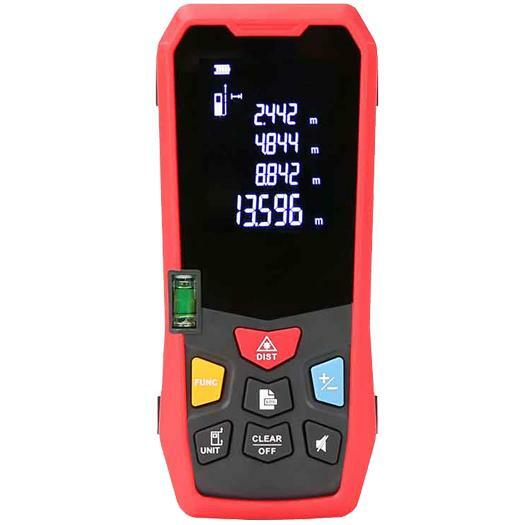 Quickly and easily level & read elevations or deviations from plane. 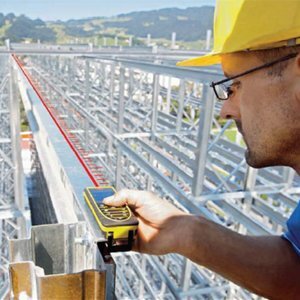 Or carry out positioning & transfer of levels to inaccessible areas through small gaps – the Ziplevel provides flexibility of operation that is simply not possible with any other type of leveling devices. No tripods, rod or line of sight required. 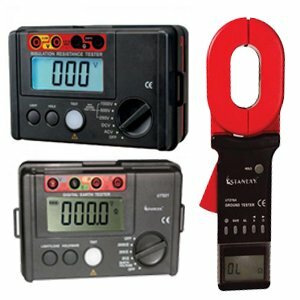 Measures depth in difficult to reach, inaccessible or hazardous sites by simply using the hold function that puts the module into a constant measurement mode allowing the module unit to be lowered-reading is frozen when the module unit is stable on the bottom surface. 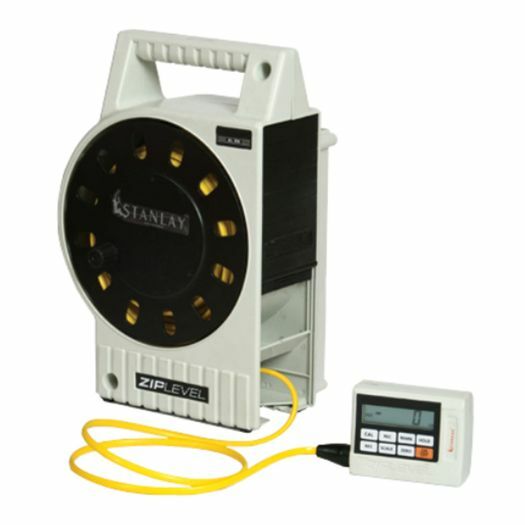 h1 class="heading">Large Operating Radius The Altimeter Ziplevel works perfectly in any indoor and outdoor applications. 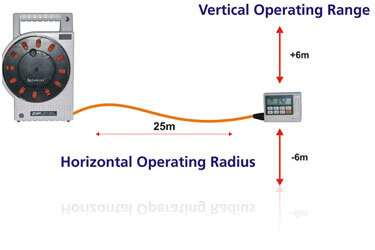 It has a large operating radius upto 50m and upto +/- 6 m vertical. 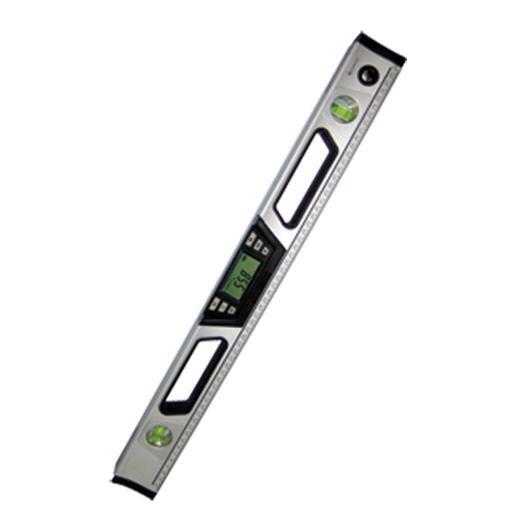 It is a professional altimeter which enables to scale and measure difference of level & evelvation including around corners with an accuracy of within 3 mm. 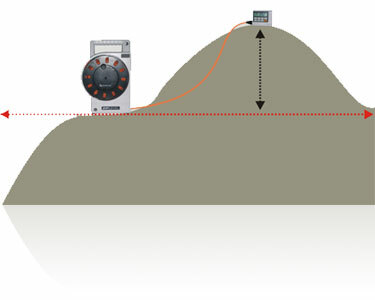 The instrument measures in mm, cm, meters. 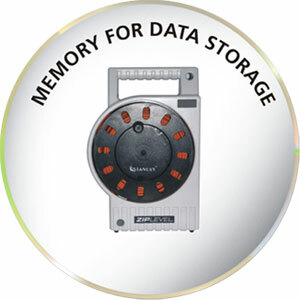 The unit can store upto 135 values in its memory cache. 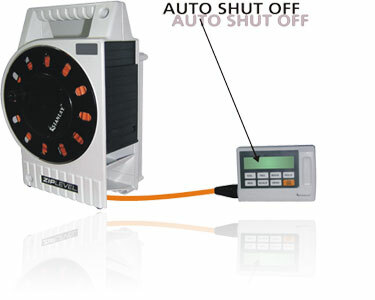 The unit automatically shuts off after 3 minutes if it is not in operation (with a warning by giving 2 long beeps). 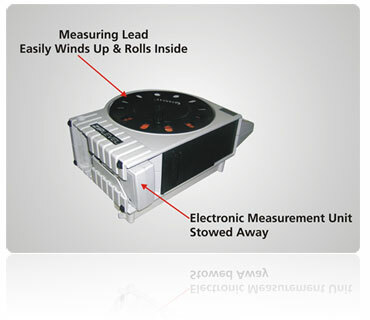 Measuring lead easily winds up and rolls into the protective cage of the unit and the electronic measurement unit can also be stowed into its slot . Dust resistant. Water resistant. 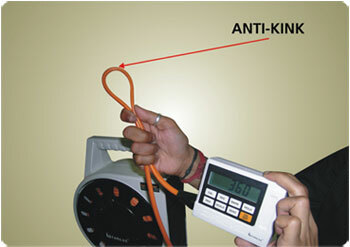 Operating temperature range of – 30° to +70° C.
Extremely stable lead with Anti-kink protection. 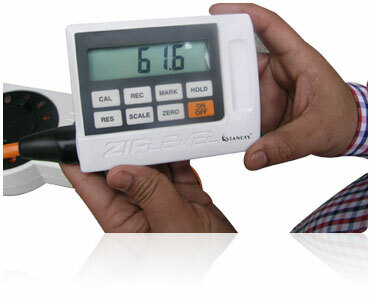 The Ziplevel has a CALIBRATION button for onsite calibration. 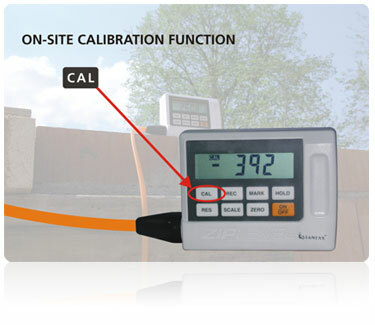 The unit can be calibrated in a matter of minutes if the measuring results are wrong or the letters 'CAL' are blinking on the display.